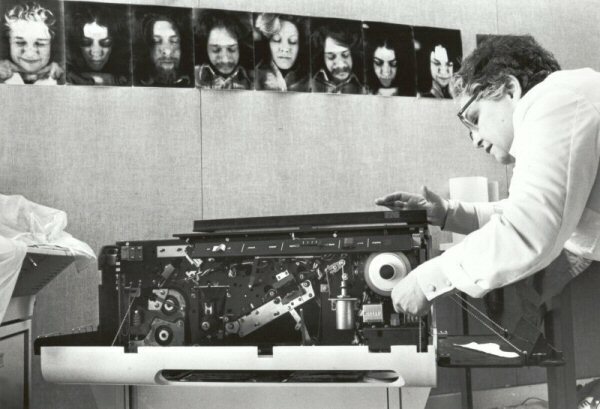 Sonia Sheridan manipulating a "VQC" copier in the Generative Systems classroom at the Art Institute of Chicago, 1976. 1 photographic print, b & w ; 8 X 10 cm. Photographer unknown. The Daniel Langlois Foundation for Art, Science and Technology, Sonia Landy Sheridan fonds. 0501-1. Paper treated with a zinc oxide formula. A lamp with a lens sweep the source. Generative Systems, School of the Art Institute of Chicago, c.1970-1976, 1 slide: col.; 35 mm. The Daniel Langlois Foundation for Art, Science, and Technology, Sonia Landy Sheridan fonds. 0501-110. Electromechanical component box (lens, exposure lamp, mirrors, electrostatic charge unit (Corona); powder cartridge with magnet; infrared lamp; printing drums). Printing materials: paper (sheets or rolls) treated with a zinc oxide formula; silver oxide powder; thermoplastic resins. 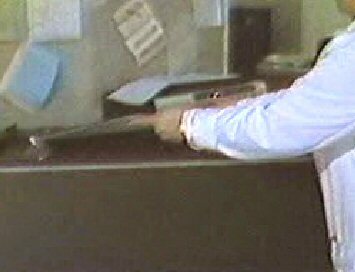 Unlike the black and white photocopiers of the 1950s (Haloid Xerox), the VQC process eliminated the complexity of a selenium plate being slid successively into a series of independent modules. Instead, the VQC centralised all reproduction functions within a single module (a). This direct reprography technique (as opposed to the indirect technique of the Haloid) was based on using paper treated with a zinc oxide formula designed to receive an electrostatic charge to magnetically attract silver oxide powder (b). 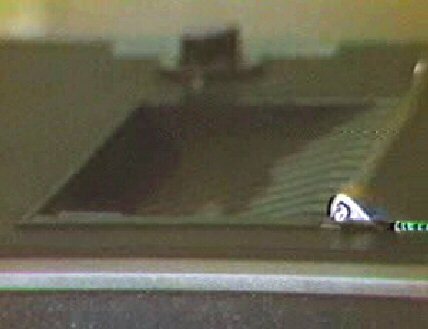 The VQC was equipped with a transparent surface on which the item to be copied was placed as well as with a protective film to block external light (c). 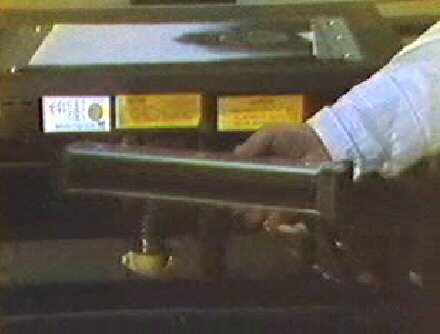 On the left-hand side of the device, the operator could insert a sheet of paper into a slot or select the roll of paper (available inside the housing) (d). On the right-hand side, the console allowed the type of paper (legal or letter format), contrast and number of copies to be selected (e). A display and numeric counter advised the operator of the progress of the work and recorded (counted down) the number of copies made. Once the start button was pushed, a lamp with a lens swept the source (f). A system of mirrors reflected the light onto the surface of the paper (receptor), creating a latent (invisible) image. 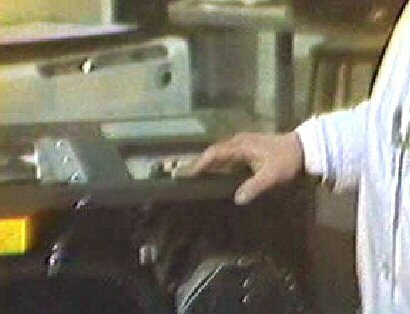 Pushed by a drum mechanism, the page then travelled over a metal unit (Corona), which positively charged its surface (g). The powder cartridge then touched the paper’s surface, coating it with silver oxide and thermoplastic resin particles, which made the image appear (h). A negatively charged magnet placed under the cartridge caused these particles to adhere to the poorly lit zones while repelling them from the exposed zones. Finally, an infrared lamp emitted enough heat to permanently fix the powder to the receptor. The first copy would exit the machine in approximately 10 seconds, with supplementary copies produced some 10 minutes later, if required. Black and white copies that reproduced the grey scale of an original document. 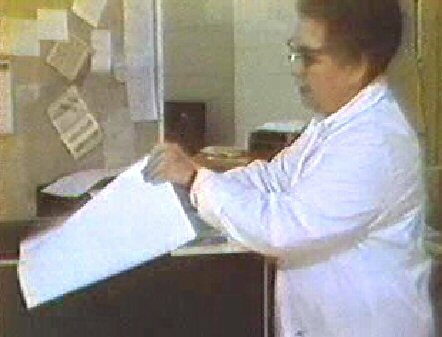 In 1974, Sonia Sheridan acquired the Versatile Quality Copier I by 3M.